Creating a custom hoodie is one of the finest hobbies since it makes a fruitful use of your recreation time and defines your style. Hoodies are a fancy attire of the current season and has set trend with his customized designs and variety of styles. Zip-up, slim fit with single or 2 pockets are the common design for hoodies now. The best part is now you can design different styles of hoodies right at home. This is the basic step to start with designing your hoodie at home. You have to use ink of single or mono color to sketch the entire surface of your hoodie. Variation of shades is good but any shade over the top would make it clumsy. Hence go simple and do painting on the surface of your hoodie. However you can paint the hood a different color complimenting the color spread on the surface. Small prints on hoodies look good for men while larger prints or logos appear pleasant on women. Stroke variations with beautiful combination of textures, patterns or colors make an amazing look. You can design these prints or custom logos on a Photoshop. Add your quotes across the hoodie from one end to another. The design flowing on your custom hoodie from right end to left end must have a proper flow. For this purpose it is best to do it with some drawing tools in Photoshop and create the outline such that the colors do not flow outside the desired border. Also you can create a symmetrical design for better pictures of the design on the hoodie. You can Photoshop the design to be printed on your hoodie and fill it with desired colors and strokes. You can also create a layer and thicken the outlines to get a better picture to simulate depth and add texture to the outline. Once the outline is ready you can go for adding colors and select different textures like zebra, shearling, plaid or lining pattern. You can also create your custom pockets and cuff. Once you have the design ready all you have to do is get it on your hoodie. 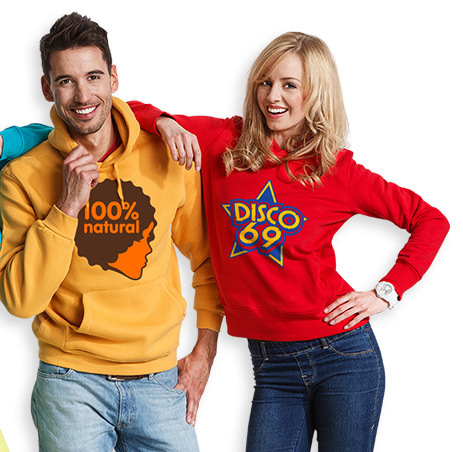 You can approach any nearby digital photo studio who would get the design of your choice on your custom hoodie.